Thank you guys for keeping your eye on our project, we'll be glad to share more information with you soon! BCAP token represents a fractional interest in the only LP interest in the fund, which the token issuer Tokenhub.com (the platform where you will be able to purchase the BCAP token) holds. 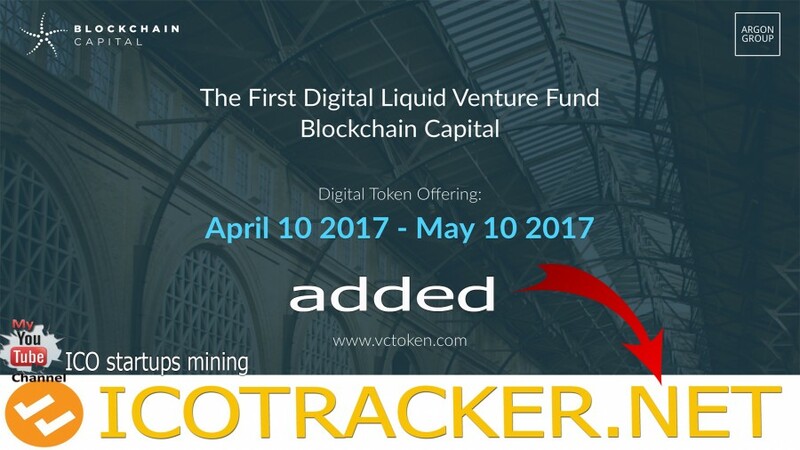 Of course - the fund will make regular NAV disclosure so you will be able to track its progress after the ICO. The project is interesting but there's not much activity in this thread how come mate? We will be releasing more information in the offering memorandum on April 3, and then ICO will open for investments on April 10. So far not that much information is available, and that's why this thread is not so active. Also, we are not running a bounty or signature campaign and this is another reason. @Marina Is there any investor limit number in ICO? Hi Carlo - yes, but only for US accredited investors (99 in total). For the rest of the world there is no limit on the number of investors. OK That's good. I am waiting news. Thank you. So for non US investors it is sufficient to register at tokenhub? Or is it mandatory to go through the (painful) process to become an accredited investor by the rules of the SEC? As a non-US investor you would need to register at tokenhub.com and follow certain KYC procedures there. How will you attract and retain customers/investors? Does the fund pay dividends? How to invest ? What are the options available ? Thank you. We are not doing translations at the moment but will keep you in mind for the future. BCAP is quite different from TaaS: Blockchain Capital as a General Partner will be investing into blockchain companies directly. E.g. in the existing funds Blockchain Capital has investments into such companies as BitFury, BitGo, BitPesa, BlockCypher, Blockstream, Chain, Coinbase, Gem, GoCoin, ItBit, PeerNova, Ripple, Wave, and Xapo, among others. For an ordinary investor it is very difficult to get exposure to those. In addition to that type of investments the fund will also be investing into ICOs and this is the similarity with TaaS which will be investing into BTC and altcoins only. It will be possible to invest in BTC, ETH and USD wires. The sale will be held via Argon Group's issuance platform TokenHub, registration at tokenhub.com will open soon. We have been featured so far in both mainstream and crypto media, some of the links to news articles are below. We will continue this strategy of broader media coverage, combined with social media activity (follow Blockchain Capital on Facebook and Twitter) as well as efforts in the crypto space, e.g. this forum, our Telegram group, our channel at CoinFund Slack, other crypto resources. The fund will not be paying dividends. Rather, any profits that the fund makes will be reinvested into the fund, which would then increase its net asset value (NAV). NAV would be regularly reported and hopefully serve as a benchmark for token price. So in that case while the profits are not returned to you directly in cash, they are likely to be reflected in the token price in the aftermarket. Very cool idea and project. Brock will help bring more credibility to this industry.